I would like to share with you that the Accreditation Council for Business Schools and Programs (ACBSP) has granted accreditation to all existing programs offered by the College of Business and the Graduate School of Management at Lewis University. ACBSP is a leading, specialized accreditation association for business education which supports, celebrates and rewards teaching excellence. It also develops, promotes and recognizes best practices that contribute to continuous improvements of business education. 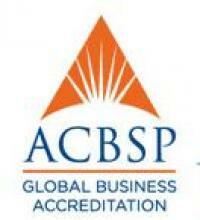 ACBSP accreditation is a process of quality assurance and review that institutions participate in on a voluntary basis. To earn this accreditation, the College of Business and Graduate School of Management programs met the highest international recognized standards of academic excellence with particular emphasis on curriculum, student performance, and student & stakeholder satisfaction. The College of Business must also continue to monitor student progress in certain areas in order to maintain accreditation. These areas include student performance on standardized tests, placement of students, and business knowledge. Accreditation certifies that we provide excellent programs and that the teaching and learning processes within our college meet the rigorous educational standards established by ACBSP. This is a significant achievement by the College of Business because only one in four business colleges offer accredited programs. This means that we are part of an elite group of business colleges. The College of Business is very excited and pleased in receiving this accreditation. Thank you all for your support.